The LDS Church instituted its “I’m a Mormon” ad campaign in 2011 as a way for curious outsiders to peek in at Mormonism’s greatest strength—its members. Rather than viewing the Internet’s inherent decentralizing property as an obstacle to be combated, the Church (rather brilliantly) began to envision that very decentralization as an opportunity: Let the members be the message. 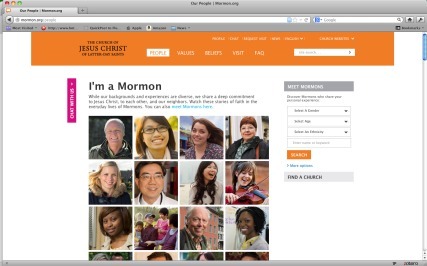 In the last two years the “I’m a Mormon” campaign has become the Church’s calling card to the world, often gently challenging stereotypes that people may have harbored about who is or can be a good Mormon.